This talk will look at representative works that have been pieced together from S. Asia, drawn from the Alkazi Collection in New Delhi. Over the last 10 years, the Foundation has been involved in publications and exhibitions at national and international venues, looking at the works of itinerant photographers that came to India, and other locations in S. Asia to establish commercial entities or survey the land. The images that now remain in the archive in the form of loose prints, albums and negatives explore a cultural exchange and visual display that generated an image of India for the wider world, but which brought to bear visual tropes associated with the Empire’s outreach to the former colonies. However, they can no longer remain constrained by the context in which they were made. While the talks look at vintage material in the main, Rahaab will also explore some of the recent work achieved through PIX, India’s first theme based photography quarterly, of which he is the honorary editor. 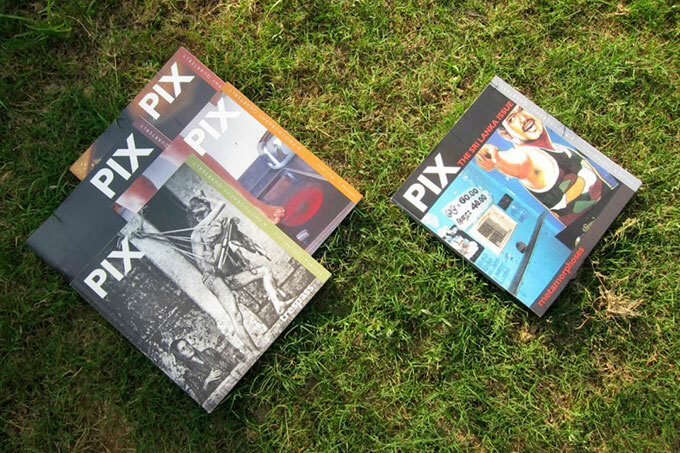 PIX, has been conceived as a space where the archive of contemporary practices is explored, for photography as a visual art and documentary mode. John Grierson famously defined documentary practice as the “creative treatment of actuality,” claiming that, “In documentary we deal with the actual, and in one sense with the real. But…the only reality which counts in the end is the interpretation, which is profound.” As a photojournalist Akshay, has struggles with the question of it’s relationship to the real and framed as the opposite art. The status of the documentary as a work of art and the deployment of documentary practices within the field of art are both contested in terms of the construction of facticity, the politics of perception and questions of social and political efficacy. In Dissensus: On Politics and Aesthetics, Jacques Rancière theorizes the relation between art, politics and reality: “There is no ‘real world’ that functions as the outside of art. There is no ‘real world’… Instead, there are definite configurations of what is given as our real, as the object of our perceptions and the field of our interventions. The real always is a matter of construction, a matter of ‘fiction’…” This talk reflects on this conflict in Akshay’s practice and how it has evolved to encompass an expanded idea of documentary using intervention and greater engagement. Rahaab Allana is Curator of the Alkazi Foundation for the Arts in New Delhi, and Fellow of the Royal Asiatic Society in London. He had an early engagement with the National Gallery of Modern Art, and has subsequently curated, edited and contributed to national and international arts institutions and publications, including Marg, the Lalit Kala Contemporary, The Brunei Gallery (London), The Photography Museum (Berlin) the Rubin Museum (NY), the Royal Fine Art Museum (Brussels), the National Gallery of Modern Art and the National Museum (New Delhi) among others. Rahaab has also showcased a solo exhibition of his own photographs, taken over the last 12 years of his experiences related to heritage in India and S.Asia, entitled Worlds of Difference at the Romain Rolland Gallery, Alliance Francaise, Delhi, April, 2010. Rahaab has been the editor of PIX quaterly for over 4 years, India’s first theme-based photography quarterly. Its next issue is a special one dedicated to photography from Nepal. Akshay Mahajan is an photographic practitioner based in India. He restricts his practice to his immediate experience. He is also the co-publisher of Blindboys, a community-driven space which uses simple and effective ways to reach out to photographers and audiences alike. Blindboys is committed to exploring free effective ways to bring these two together link.